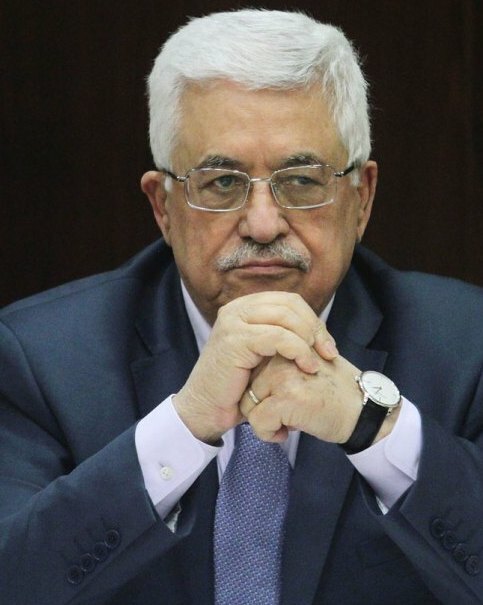 ← Will Abbas be Followed by Dahlan or Barghouti? The game must go on. John Kerry performs his negotiator role. Benjamin Netanyahu goes through his role as the leader of an “endangered” state. Mahmoud Abbas? Well, he (at right) is just sitting by at the peace table, with future diplomacy on his mind. Yes, that is exactly the word we need here, less than a month away from Kerry’s deadline for Israel and Palestine to agree on a framework to continue the current round of talks. Has there been a single Israeli prime minister who has ever been serious about giving Palestinians a viable state of their own? Of course not. A colonial power does not give political power back to the people whose land it has stolen by force and by guile. Unless that is, you are the white minority of South Africa which lacked the one thing it needed to continue to control the indigenous population which it had pushed into bantustans: A well-funded Lobby which owned the U .S. Congress. How strong is the Israel Lobby? The Congress demonstrates its power when it cheers Netanyahu each time he shows up to ply his wares. The Israel Lobby has such power that it even reaches into U.S. religious bodies when they debate resolutions critical of Israel. Two of those religious denominations—The United Methodist Church and the Presbyterian Church USA—will bring up new resolutions against the occupation when they gather for regional and national meetings this summer. The Israel Lobby will set up shop around and inside the two church assembly halls. They will not be discussing religious matters. The modern state of Israel, created in 1948 at considerable cost to the Palestinian people, has never wanted to “suscitate” a peace process. Every Israeli prime minister who agreed to “peace talks” did so because it was a handy place to nestle down and pretend peace while he or she swallowed up more Palestine land and stepped up Palestinian oppression. Why else in this current round of “talks” would Netanyahu toss in two new demands, knowing they were deal-breakers? “Recognize us as a Jewish state” and “give us the Jordan Valley to save us from marauding Arab armies” sounds suspiciously like a two-part package dreamed up by Madison Avenue to keep the talks going until the next U.S. presidential election. Netanyahu knows that a Republican or a Clintonian Democratic White House will show little enthusiasm to confront the occupation. Abbas knows Israel is stalling for time. Which explains why he is ready to “launch his own non-violent diplomatic assault” to confront Netanyahu’s stalling tactics. Palestinian leaders are readying for a confrontation without violence. Once the talks fail — an outcome they regard as inevitable — the plan is to resume a diplomatic assault on Israel. The main venue will be the U.N., where the General Assembly in 2012 granted Palestine state status. The institution, broadly supportive of Palestine, offers other levers to pressure Israel, including access to the International Criminal Court. “The U.N. is one place where you can show respect for multilateralism, international law, where you can empower the Palestinians, check Israeli violations and give people hope,” [says Hanan Ashrawi, a Palestinian Authority executive-committee member]. Meanwhile, this weekend across the Atlantic, the 2016 presidential race gets underway. A very special Republican “primary” in Las Vegas will be hosted by an American oligarch with a strong affection for .Israel. That, of course would be billionaire casino magnate Sheldon G. Adelson (left), who, with his wife Miriam, poured more than $92 million into 2012 campaigns to elect Republican candidates, most of whom lost. His strategy for 2016 will be pragmatic. The Adelsons intend to win the White House for Israel. The Adelsons are plotting their investments based not on personal loyalty but on a much more strategic aim: to help select a Republican nominee they believe will have broad appeal to an increasingly diverse national electorate. Four Republican hopefuls will audition for the Adelsons: Former Florida governor Jeb Bush, New Jersey Governor. Chris Christie, Wisconsin Governor Scott Walker and Ohio Governor John Kasich. In what is essentially the “Sheldon Primary,” the auditions are the first step toward victory for the Republican party and for Israel. Officially, the potential 2016 candidates will be at the Venetian for the spring meeting of the Republican Jewish Coalition, which begins Thursday with a golf outing, followed by a VIP dinner featuring [Jeb] Bush and hosted by the Adelsons in the private airplane hangar where Adelson keeps his fleet. But some of the most important events will occur between the poker tournament, Scotch tasting and strategy workshops. That’s when Adelson is scheduled to hold casual one-on-one chats — over coffee, at dinner or in his private office — with the prospective candidates. 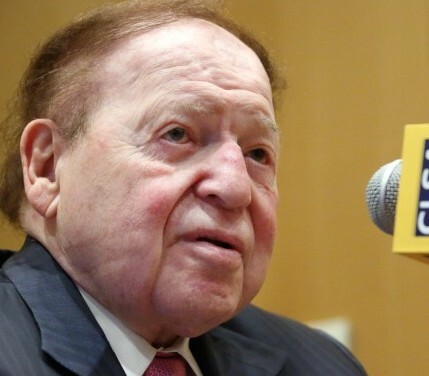 No doubt Israel will be at the top of the Adelsons’ agenda for discussion, followed by a friendly committment that the casino industry will be given clear sailing in its current battle against its major competitor, online gambling. After 2016, with what Republicans like Adelson hope will be a Congress firmly in hand, and a Republican, or a Clintonian Democrat, in the White House, talk of resuscitating a peace process that has never been suscitated, will no doubt be trotted out in a new format, one that will enable Israel to proceed with further expansion. And the most fervent effort for justice by a U. S. Secretary of State since Israel became a nation, will have reached an ignominious conclusion. After which, President Abbas’ effort to launch a diplomatic assault on Israel’s occupation, will be tested in the court of world opinion, and just possibly, in the courts of international justice. Meanwhile, Sheldon G. Adelson will be happy. And Israel, which calls itself the “start up nation”, will keep its economy booming, with the keys to the occupation firmly secure in its hands. For a time, at least. The picture at top of President Abbas, was taken by Issam Romawi for AFP/Getty Images. It appeared in Time magazine. The picture of Sheldon G. Adelson was taken by Tomohiro Ohsumi for Bloomberg News. It appeared in the Washington Post. This entry was posted in John Kerry, Middle East, Middle East Politics, Netanyahu, Presbyterian Church USA, Religious Faith, United Methodist Church. Bookmark the permalink. Jim, this is a point-perfect commentary. I do so admire your (Palestinian-like) steadfastness, week in-week out, in informing “all who come to drink” and, one hopes, an increasingly skeptical and aware general public. I’d like to find time and energy to make (suscitate?!) a more extensive comment, and I shall try to do so. You nailed it, Jim. Thanks for an excellent timely article. It seems to me that the real candidate for the US Presidency is a Zionist Casino Cartel terrorist thug who has Billions, and will probably donate a minimum of a hundred Million Dollars, as he did during the last elections (but failed), just to grab the American Presidency for Israel. Yes, to grab the American Presidency for Israel, not for the American.people. And the vast majority of our mainstream America are absolutely clueless. The poor and the rich will gamble to their hearts’ delight to ensure that Adelson’s coffers will continue to overflow with gold. Yes, the Republican candidates will salivate and beg for this mind-boggling gigantic outright bribe. Mind you, there will be a number of other Zionists-for -Israel ready to fund the Democratic candidates, as they have traditionally and generously done for many, many decades. Conclusion: The next “American” President elected will be the new puppet President-Servant of Israel. And, probably, no media will dare point out that Sheldon G. Adelson and his Democratic counterpart will be, in effect, the first “Zionist-Jewish” President of America. Our next puppet President will, in effect, pre-swear allegiance to “Israel”, Israeli occupation, Israeli Apartheid, Israeli ethnic cleansing and genocide. If Sheldon Adelson succeeds to crown the next US President, then I see this as a dramatic downfall of our country. Not only will we be outsourcing Israeli “think tanks”, as we currently do. Our next President who takes orders from Tel Aviv (Romney promised to do that) or from the Zionist Lobby here in the US. GO FULL SPEED AHEAD AND NEVER LOOK BACK. Go for the UN and have Palestine recognized as a full-fledged “State”, then run to the World Court in The Hague, and just let the games begin”. Peace in any shape or form would be detrimental to Israel’s goals no matter what they may say to the contrary. This must be clearly understood at the beginning of any discussions with Israel. Jim, your focus on the power of the Israeli Lobby is right on. Despite what I perceive is a (slowly) growing understanding of the unhealthy sway Israel wields over the U.S., it is a power so pervasive that it discourages the faint- hearted. Even some of our Jewish acquaintances say they are worried, but lack organization and funds adequately to challenge the State. On two successive days we heard Mary Mikhael, retired president of the Near East School of Theology, talking about the situation in Syria and its neighboring countries, and Mitri Raheb speaking about the emerging Palestinian theology that deals with The Empire it faces. (They are traveling the country on tours organized by Presbyterians and UCC supporters of the Near East School of Theology, and by Lutheran, Catholic, and UCC supporters (including Yale Divinity School) of Lutheran work in Palestine. Both got good crowds among people who are frustrated and who have little hope in the present peace process. Thanks for your efforts to keep us so well informed. For those who do not have time to read the works of Paul Findley, Mearsheimer and Walt, and Jimmy Carter on Israel and Palestine, this article is the best summary of the impossible situation that I have ever seen. It is clear that Congress and the White House are effectively owned and controlled by the Israel Lobby, which is tied to our military industrial complex, the machinery for expanding and contracting our supply of money and credit, our major news media, and large tax exempt foundations which, by making or withholding grants, dictate the educational policies of our colleges and universities. All we have to do is consider the backgrounds and connections of the eighteen signers of the letter on January 26, 1998, from the so-called Project for a New American Century to President Bill Clinton, urging an invasion of Iraq, and it becomes obvious that the United States have been subverted within by domestic enemies, and that the American dream has been destroyed, — John Remington Graham of the Minnesota Bar (#3664X). Suscitate! You’ve added a new word to my personal lexicon, Jim, and it surely does fit. Many thanks. I have been calling this a “hinge” year because when this “peace” initiative fails we will no longer be able to say, “the window is closing”. As you point out, we will be in a distinctly new phase of this struggle. Wonderful article. Now get it covered in the New York Times, or a Frontline program. Israel controls our American media, almost top to bottom. That’s why we are “clueless”; there are boundaries we are not allowed to cross or debate.